MaripazIntermedio1: Hugh Jackman spent a gap year in 1987 working as a teaching assistant at the prestigious Uppingham School. 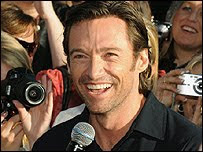 Hugh Jackman spent a gap year in 1987 working as a teaching assistant at the prestigious Uppingham School. Not many people know this but Hollywood hunk Hugh Jackman lived for a year in Rutland, where he worked as a teaching assistant. Richard Boston recalls his time there and talks about the lasting impression he left on staff and pupils. 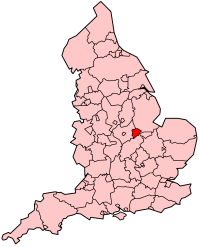 Rutland (pronounced /ˈrʌtlənd/) is a county of mainland England, bounded on the west and north by Leicestershire, northeast by Lincolnshire, and southeast by Peterborough (a unitary authority ceremonially in Cambridgeshire) and Northamptonshire.